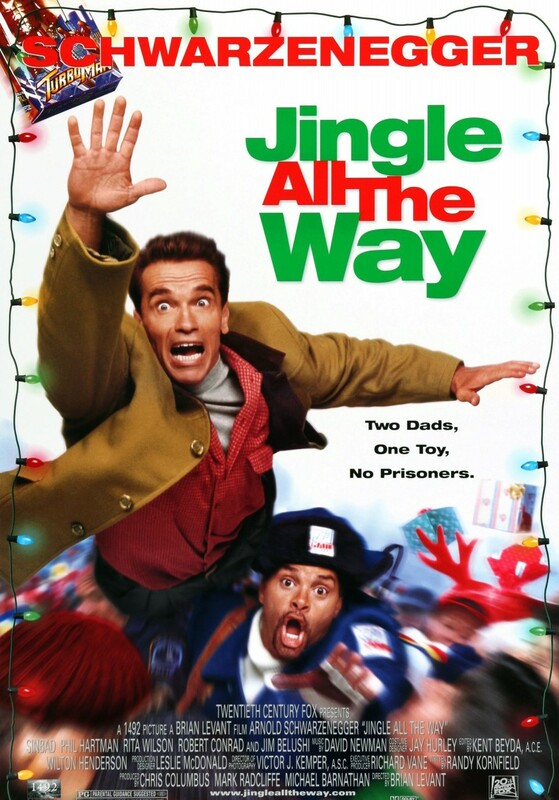 Holiday Matinee of Jingle All the Way is FREE thanks to the following sponsors: Ferguson Signs, Regional West Health Services, Randy Schmidt Memorial, JaCee Pilkington/Jess Pilkington/Edward Jones. Workaholic Howard Langston (Arnold Schwarzenegger) wants to make things up to his son, Jamie (Jake Lloyd), and wife, Liz (Rita Wilson). He promises to get Jamie the hottest toy of the season, Turbo-Man — even though it’s Christmas Eve and the toy is practically sold out. As Langston hunts down the elusive gift, he runs into mailman Myron (Sinbad), another father on the same quest. With the clock winding down, Langston’s moral code is tested as he starts to learn the real meaning of Christmas.